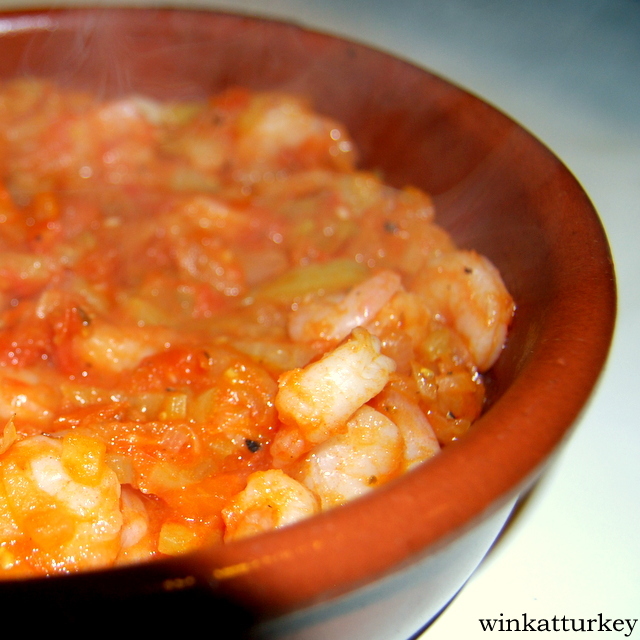 One of the dishes that can be found in most fish restaurants in Izmir is the "Karides kasarli güveç", casserole with vegetables and prawns baked with cheese. In many fish restaurants in the area you can ask, although not in the letter. Very easy to prepare, healthy and very complete. -400/500 gr shrimp ( They may be frozen). 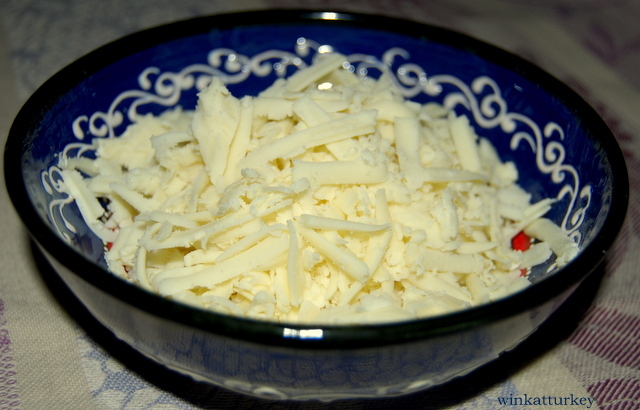 -Grated cheese for grill, here a cheese called kasar used, which is something like mozzarella. -Salt, oregano and ground black pepper. Peel and chop the onion 4 parts and we start each thinly sliced. 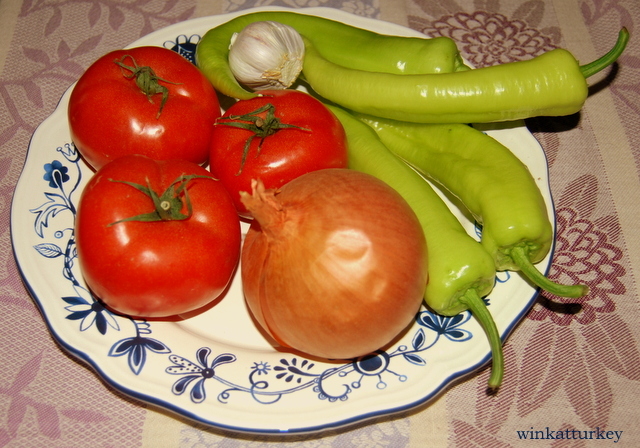 We wash the peppers, we remove the tail and seeds and cut into strips. Peel the tomatoes and cut into small pieces. We put a pan to heat, we take a splash of oil and fry the onion we offer. Then add the peppers and let sauté over medium heat. When you leave a little browning onions, add the garlic and continue sautéing and stir everything around 5 minutes. Toss the tomatoes and add salt, oregano and ground black pepper. Stir all well and maintain a 8 minutes over medium heat, until the tomato juice to vaporize. 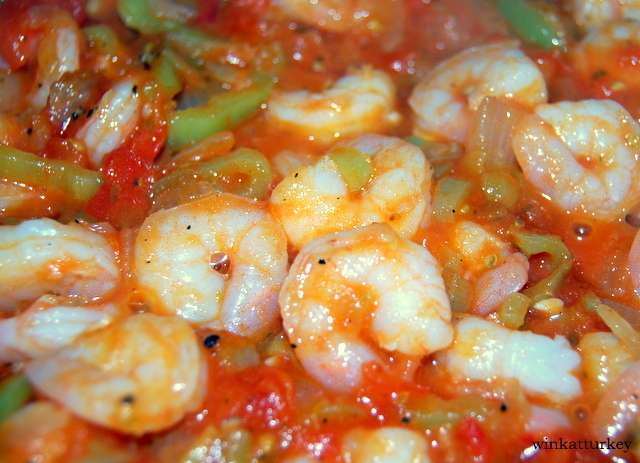 We add the prawns, thawed. Removed during the whole 2-3 minutes. 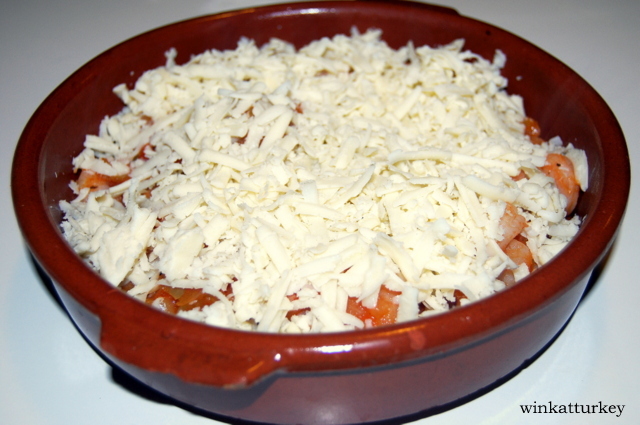 We now mainly a clay pot or a casserole dish and sprinkle the grated cheese on top. We put the pan in the oven to broil and keep it inside until cheese is golden brown. 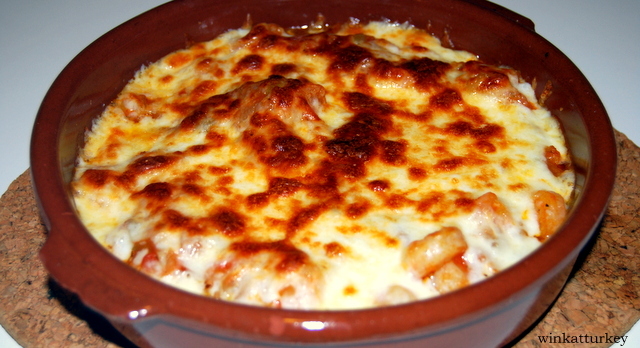 The preferred cooking using only the oven, simply have to enter the baked casserole with vegetables and a little oil during 15/20 minutes after sunrise it out and add the cooked shrimp and cover with cheese. Then reinserted into the oven until cheese gratin.